Okay, I am officially addicted to making my own bread. Making it yourself really doesn't take that much work or many ingredients. The only thing you really need is time. For anyone who hasn't had onion soup, you might think that this soup would taste really strong of onions. But because the onions are all caramelized, the flavor of onion isn't overpowering at all. 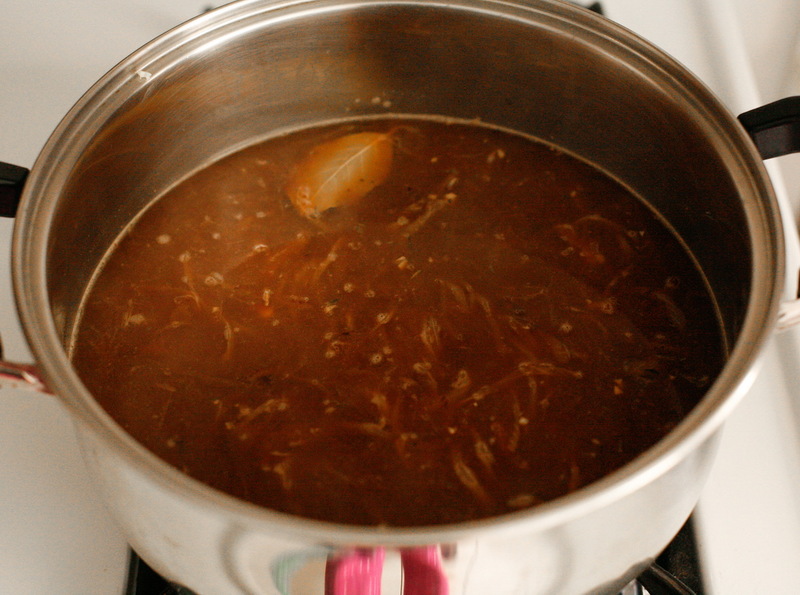 I mixed half "beef" broth and half "chicken" stock for the base. When you throw in the bread and the melted cheese, this soup is very comforting and filling. This surprised me because there really isn't much in the soup but it is heavy. I served mine with a side of salad to complete the meal. Anyone else love French Onion Soup or are there any that aren't a fan? 1. Add olive oil in a large stock pot and heat over medium high heat. Add onions and saute 10 minutes, stirring occasionally. Add sugar and saute until browned, stirring every 5 minutes or so. Browning all the onions will take anywhere from 20 to 50 minutes. 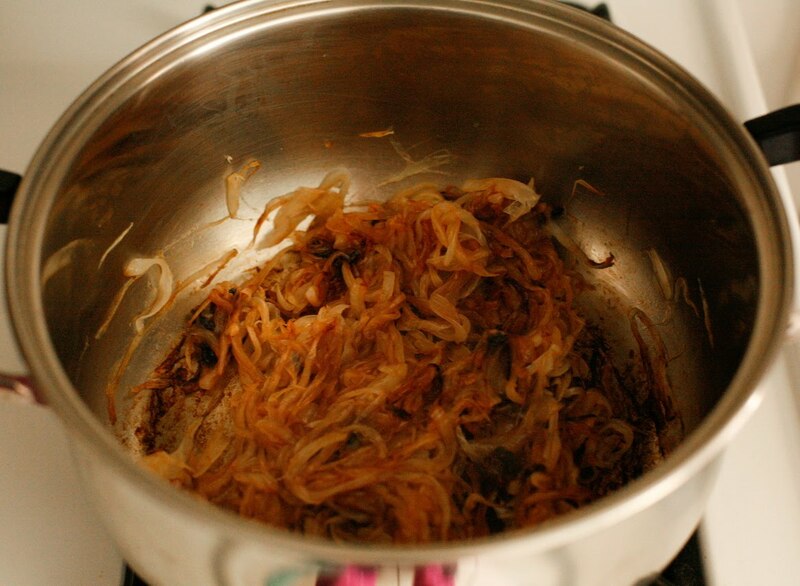 If you stir too much the onions will never brown and if you still too little, they will burn. So one good stir every 5 minutes or so will be good. 2. 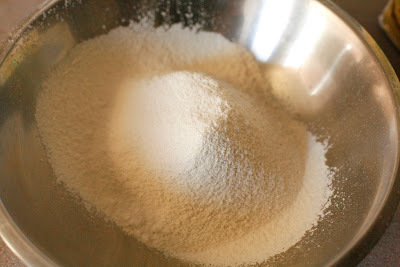 Sprinkle flour over onions and garlic and stir until everything is well blended. 3. Add stock, bay leaf and thyme. Cover and simmer for about 15 minutes. 4. Remove bay leaf and season to taste with salt and pepper. 5. Ladle soup into 6 to 8 oven proof bowls. 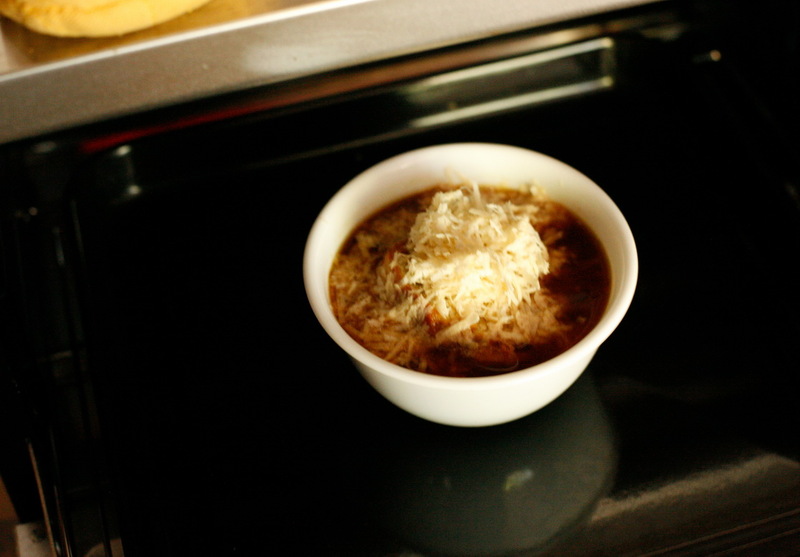 Place one slice of toasted French bread over the soup in each bowl and sprinkle with cheese. 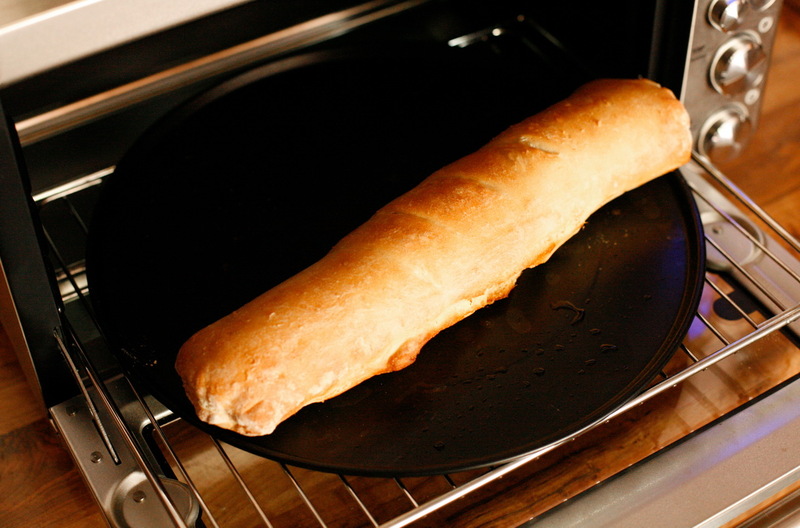 Bake at 400 F for 10 minutes or until cheese is melted. 1. Combine the warm water with the dry active yeast, mix well and let stand for about 10 minutes. 2. In a large bowl combine the flour and salt. 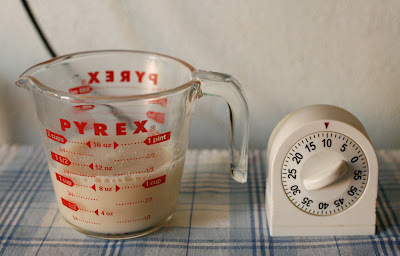 Stir in the warm water mixture and mix in using a wooden spoon. 3. 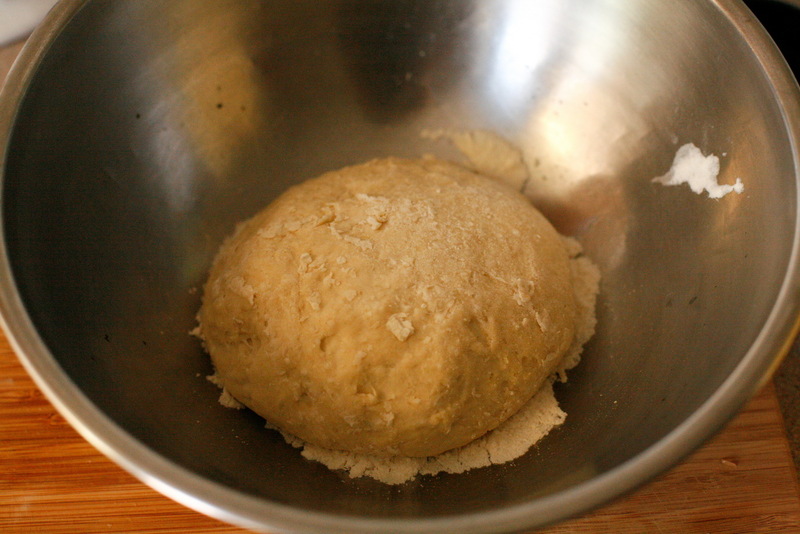 On a lightly floured surface, knead the dough for about 10 minutes. Shape into a ball and place dough in a lightly floured bowl. 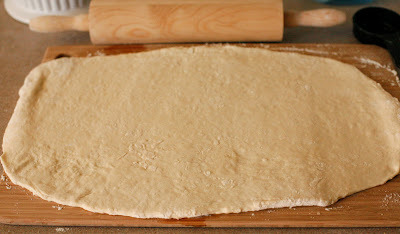 Cover and let rise in a warm place until doubled in size, about 40 minutes. 4. Once again, place dough on a lightly floured surface and roll into a large rectangular shape. 5. Roll up, starting on one of the long sides and seal edge using a little water. Shape ends to make sure everything is smooth. 6. Grease a large baking sheet and place loaf, seam side down. Brush a little water on the top of the loaf. Cover, once more, and let rise until double is size, about 40 minutes. 7. Using a knife, make 4 diagonal cuts across the top, about 1/4 inch deep. Bake in a preheated oven over 375 F for 20 minutes. Brush a little more water on top and bake for another 10 minutes. Remove from oven and let cool on a cooling rack. i think my oven and i have a date tomorrow thanks jacklyn! I love onion soup! This looks divine and with the homemade baguette has to be over-the-top good. I think adding a swig of sherry to onion soup is good too. 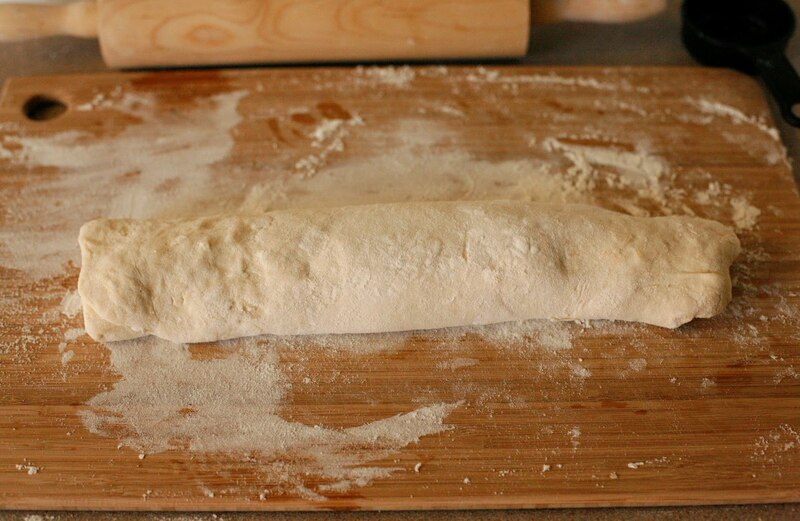 You do make breadmaking look easy. It probably also takes practice but it is a skill worth learning. I love onion soup as well - your recipe looks fantastic. we both had a desire for soup & bread. Today I made black bean soup with a homemade braided bread. Since its cold out here the soup hit the spot just right..
Rose - Ooo sherry sounds like it would go wonderfully. Great idea! Jessica - You know they sell bread machines. All you have to do is add all the ingredients and the machine does all the work for you! Something I definitely want to invest into in the future. Millie - A braided bread sounds beautiful! Please post pictures if you can, I am dying to see it! Ohhh! 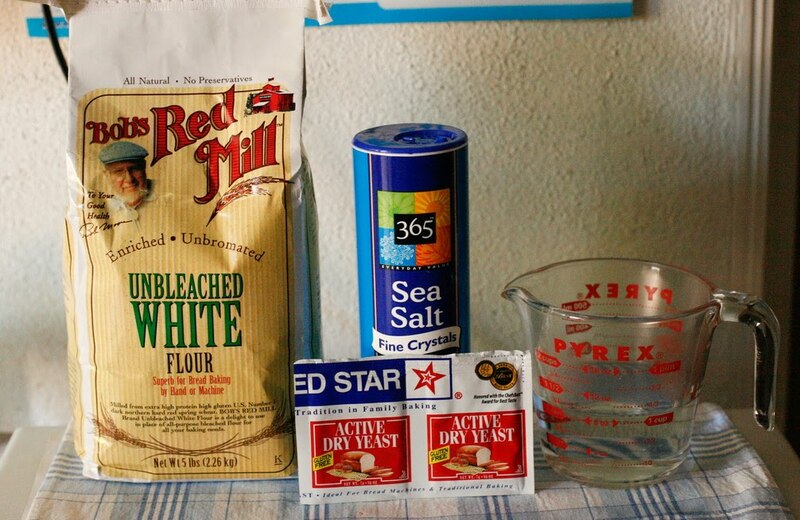 I love baking bread, I will have to try this out early next week. It is chilly here in London and some French Onion soup sounds perfect! Thanks for the great recipe! What kind of cheese is in the top picture? I don't know of any that Whole Foods (or anyone) sells for $10/lb. I'd love to get my hands on that! Carol - I never thought about having them printer friendly. Great idea! I'll look up how to do that and put links to print out each recipe. Thank you for the suggestion. Stella - Exactly why I like to make my own. Save money and skip out on all the preservatives. Bread can be expensive. I know the bread I like to buy runs around $5 a loaf! Anonymous - The cheese is called Daiya. Trust me it sounds expensive but it really isn't. The one I bought for this recipe was more than enough. I had left overs to make a grill cheese sandwich. Daiya, in my opinion and in many others, is one of the best vegan cheeses. It melts amazingly and tastes the best compared to other brands. Most vegan restaurants I go to uses that brand. Try it if you can..I am sure you'll fall in love with it too! 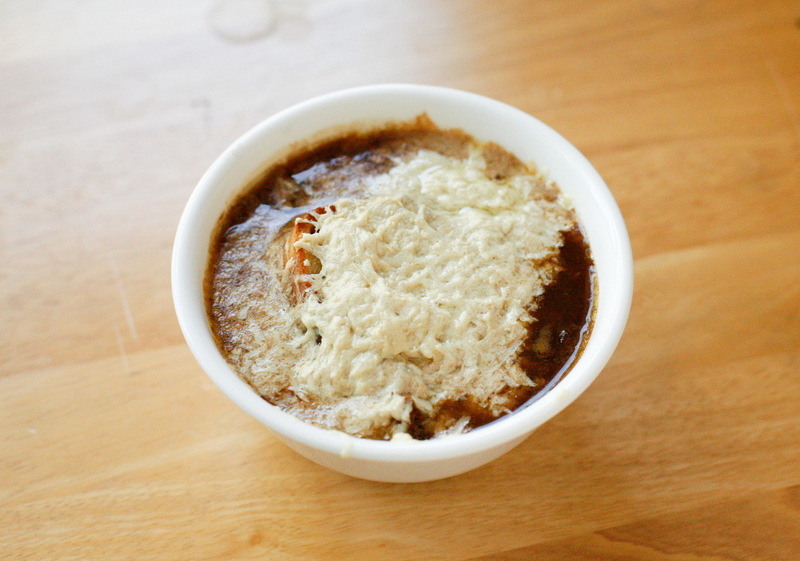 I've never had French Onion Soup, but it looks delicious! And homemade bread is the best! GREAT looking soup and I LOVE French Onion Soup--love it. I also am loving that bread baking you have going on there--I am sort of bread-a-holic lately! Yum! I am so hungry after seeing your photos of onion soup, thanks for the recipe, I'm going to try it as I've made one before but it wasn't spot on. 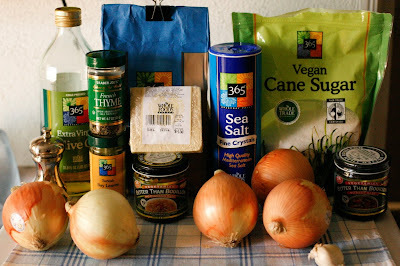 I found your blog while searching for vegan French onion soup recipes! I can't wait to try this! !